Are You Odd or Merely Mystical? Yes, there are links between Nazism and the Occult as you already know and Himmler and Hess were big poobahs in the occult department in the days of the Third Reich, as was Hitler. Then in our day, the Third Reich has had a Progressed New Moon in Taurus on June 6, 2017 about 5 months into Trump's first year in the Oval Office. And that's Taurus, sign of intolerance and hard-headedness when being negatively expressed as bigots tend to do. Now in horoscopes, one planetary factor to look for concerning such potentials as the occult would be the combination of Neptune with Pluto which can also signify underworld criminal elements in society, aka, organized crime--by aspect, midpoint, transit, or by other connections in a horoscope. Why, one might even wonder if mob-tied Donald Trump entertains such secret occult leanings! Born on June 14, 1946, Trump seems to be influenced by a sextile (60 degrees) between the two karmic planets with Neptune @5Libra 2nd house of Values, and Pluto @10Leo in the secretive 12th house of politics, karma, self-undoing, secret practices, and hidden enemies. Both the slow-moving karmic planets are generational of course but if he is able to respond to the sextile energies between them, he's open to 'invisible realms' (Oken) and this would tie in with his problematic Mercury-Neptune square which interferes with his perception of reality, shows a lack of discrimination, loosens his lips, blocks his hearing, and conjures for him a fantasy world all his own. Then there are the constant Masonic hand signals Trump can't speak without brandishing (exs: the 'ok' hand symbol; forming a downward 'V" with his hands when he sits) suggesting a familiarity with Sacred Geometry or what modern astrologists call Astrology. Now in his book The Combination of Stellar Influences Reinhold Ebertin spotlights the planetary pair of Neptune-Pluto as denoting The Supernatural which also fits with Nazism's perpetrators and their bizarre interests and rituals. Of course all astrological factors have a positive side as well and with Neptune-Pluto that would be self-knowledge, and perhaps a high level of spirituality if other chart factors concur--and as long illusions don't confuse issues, inspire spiritualism and seances, control via psychism, and/or lead to fraud and corruption. These are hard-to-control energies as you know, and may remain on unconscious levels for many people unless their personal planets are aspected by them. Then additionally, a link between Nazism, the occult, and Donald Trump may also be seen (by yours truly if not by you, dear reader!) 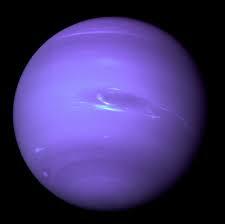 by a consideration of the current cycle of Neptune and Pluto which lasts approximately 492 years. Their cosmic clock began with three conjunctions which occurred on August 2, 1891 @8Gem38, November 5, 1891 @8Gem19, and April 30, 1892 @7Gem42--all within the time frame that the occult-practicing Nazis lived and within the eras of the Robber Barons and the Gilded Age in the US. (Remember the famous quote by financier J.P. Morgan, student of the great Evangeline Adams, that, "Millionaires don't use Astrology; billionaires do." It's all cyclical!) And of course, these days watery Neptune is strong as it floats through its own oceanic sign of Pisces while sabotaging Pluto, planet of power, is tearing up structures and systems as he plods through Saturn-ruled Capricorn, a time of 'the dictator' says Ebertin. Notably the degree of the Neptune-Pluto conjunctions of 1891/92 hit America's natal Uranus (8Gem55), our nation's totem planet of revolution, independence, freedom, invention, futurism, and...war. This naturally forms a midpoint picture of potentials--Neptune-Pluto = Uranus: 'the propensity and flair for the unusual, adventurous, mystical, supernatural experiences' (Masonic initiation? witchcraft? Bohemian Grove's creepy 'cremation of care' ritual? ), unusual catastrophes (Putin's puppet plays POTUS? ), 'peculiar discoveries', and/or 'hypersensitive nerves' (Ebertin). So how do such otherworldly energies link to Donald Trump? Besides his obvious mobster-like traits and fraudulent schemes, it's his Prenatal Solar Eclipse conjunct US natal Uranus (and thus conjunct Neptune-Pluto), an eclipse which manifested on May 30, 1946 in the 2 Old North series, heralding his birth, and which repeated @21Cancer on July 12, 2018 near his natal Saturn in watery Cancer (his 'wall' obsession born of fear!) with themes of 'unfortunate news' and 'endings of relationships'. Yet, 'fast action can bring positive results' for the blighter with the hypersensitive nerves, a fate which supports the current theory going around town that no matter what happens legally and politically to him, Trump will, in some way, land on his bone-spurred feet. Eclipse info: Brady's Predictive Astrology; NASA image above: Neptune.